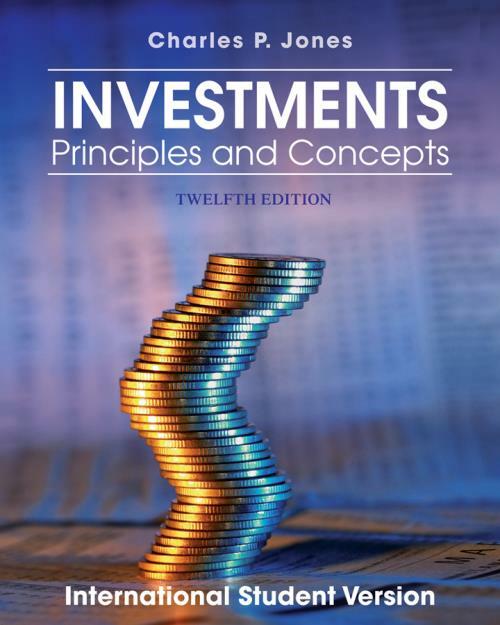 Throughout changing investment opportunities, problems, and controversies, Charles P. Jones s Investments remains one of the most readable and comprehensive investments texts today. Students can count on the new 12th Edition for clarity, currency, and balance. An effective organizational structure and essentials approach, important analytical methods, data, and finance concepts are all presented at a level that individuals of all investments backgrounds can master. Investments teaches Finance and Financial Planning readers to evaluate investment information, and then guides them to seize opportunities and make sound decisions on their own.